Supplemental resources for webinar entitled "Sowing Seeds of Success: Creating a Caring Classroom"
Compilation of resources for screencasting presentation at Speak VOLumes Virtual Conference, August 3, 2011. 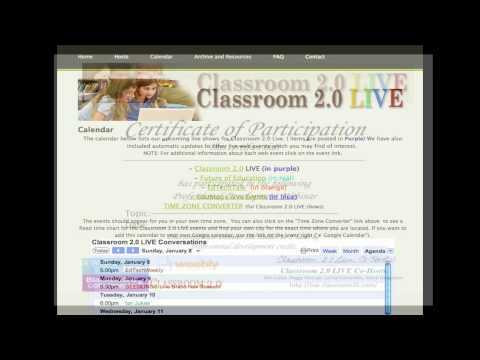 A compilation of the blogs and Twitter IDs for all of the 2014 guest presenters on Classroom 2.0 LIVE. Tabs are organized chronologically from January-December 2014 in the order of their presentations.